Stakeholders of the All Progressives Congress(APC) in the South-East have expressed confidence that the party will win the Anambra governorship election in a free and fair poll. 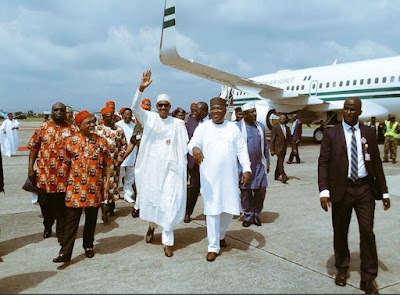 The party in a meeting to precede Wednesday’s visit of President Muhammadu Buhari said that the level of compliance among members of the party in the state, the south east and the entire country in mobilising for victory for the party’s candidate, Dr Tony Nwoye was massive. A communique raised after the meeting, which was signed by the national vice chairman south east of the party, Hon Emma Eneukwu and made available to DAILYPOST stated that the party was fully ready for Saturday’s election. The party described as false, the allegations by other political parties that it was preparing to rig the election, saying that its victory would be justified because it had worked hard for it and also commissioned canvassers in all the wards in the state, a move which has never been done. “We have advised our party men to be law-abidding and supportive of all agencies to ensure a free, fair and credible election,” it read in part. The party thanked all that had contributed to the successful campaigns of the candidate of the party in the election, while naming Vice President Osinbajo, the national chairman, Chief John Odigie-Oyegun, and the National campaign council of the party for the Anambra governorship election led by Governor Mohammed Abubakar of Bauchi State as those who had made contributions. Meanwhile, the APC in the south east have endorsed the presidential committee for the expected visit of President Buhari in Anambra on Wednesday for the final rally of the campaigns of its candidate. The party said it was fully ready for the visit of the president, and expressed confidence that his visit would boost the support base of the party in the south east, and also help it to win the election. The meeting was attended by stakeholders of the party in the zone, including, Dr Jim Nwobodo, Dr Emma Eneukwu, Governor Rochas Okorocha who was represented by the speaker of the Imo State house of assembly, Rt Hon Acho Ihim, among several others.